Many women are left without prenatal care and, as a result, endanger the lives of themselves and their unborn children. 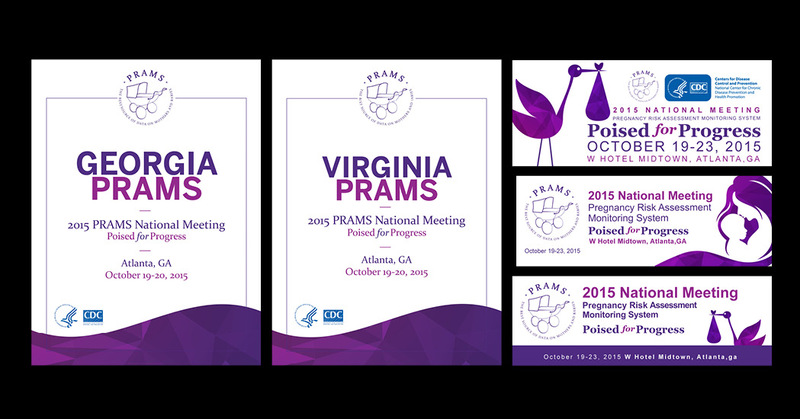 The Centers for Disease Control’s Pregnancy Risk Assessment Monitoring System (PRAMS) works diligently at keeping record of the preventative cases around America through their many pre-natal enlightening programs. 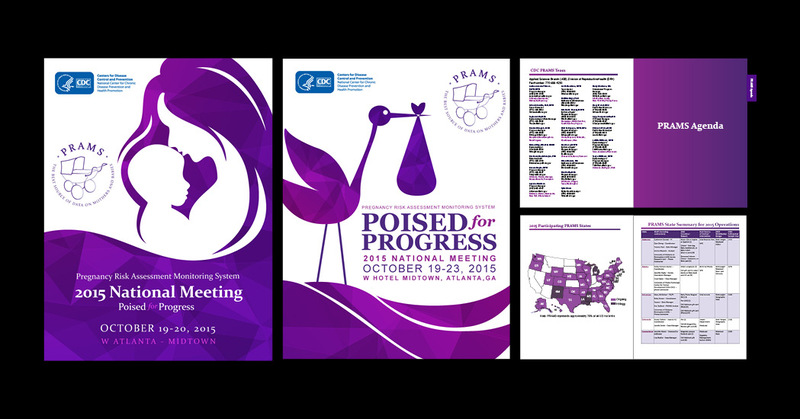 The CDC requested we create the PRAMS 2015 conference materials, including signage, social media graphics, and book. We utilized the program logo’s signature purple color and expanded its tint and shade range to create more depth and extend our flexibility. We then joined it with abstract imagery and geometrically patterned motifs to fashion its signature appearance. The result was an enticing and engaging conference brand created by a unified color palette, graphic motifs, and serif typefaces.